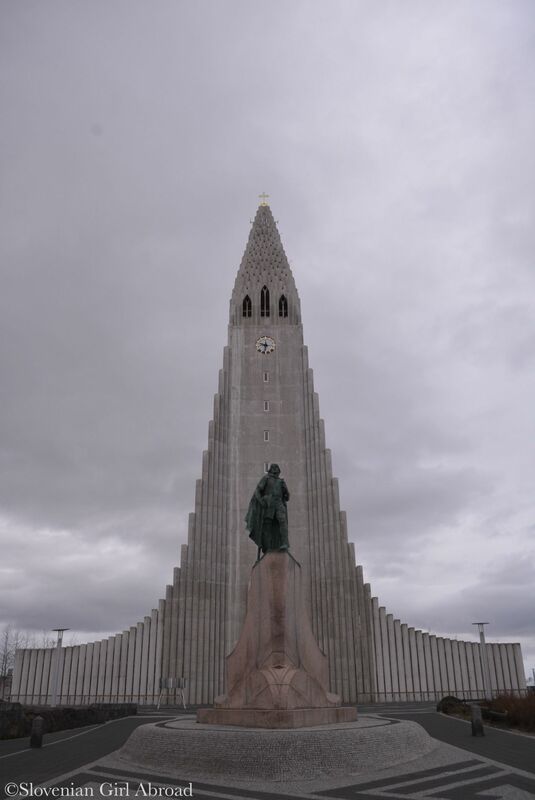 At the beginning, I would like to thank all of you who assisted me with tips and suggestions for my trip to Iceland They were extremely helpful in deciding on what to do and see! Thank you! 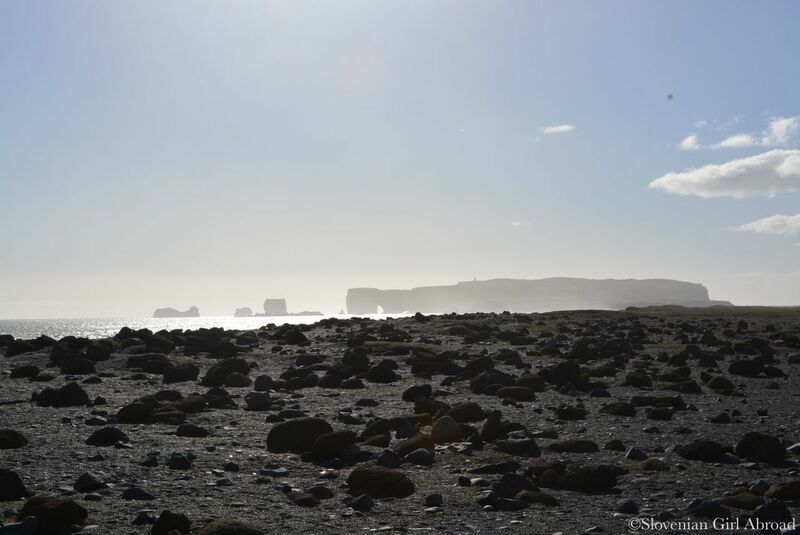 Now, a little bit about my trip… My husband and I explored Iceland from 3rd to 7th May 2016. 5 days were not nearly enough to see everything what Iceland has to offer, but it was enough to get the sense how wild, pristine and stunningly beautiful this country is. 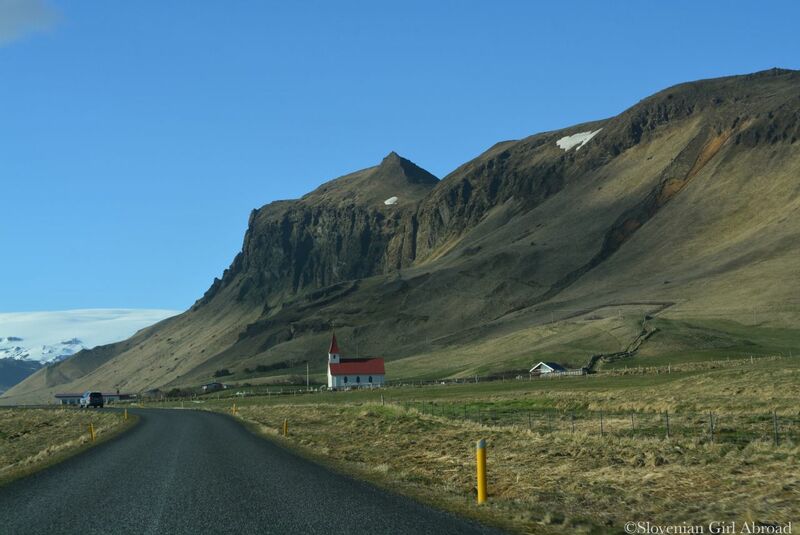 We wanted to explore the places beyond the capital Reykjavik, but as the public transport outside the capital is not great, we had two options: attending the organised guided excursions or renting a car. Because neither I, not my husband are keen on the tours, we’ve rented a car. Among the plenty of car rental companies, we’ve chosen Sixt, mainly because of the positive experiences with them in other countries. We arrived to Iceland early in the morning. After we’ve picked up our car at Keflavik airport, we drove the southern part of the Ring Road (Route 1) to Vík, the tiny town we’ve chosen as our basis for two nights. 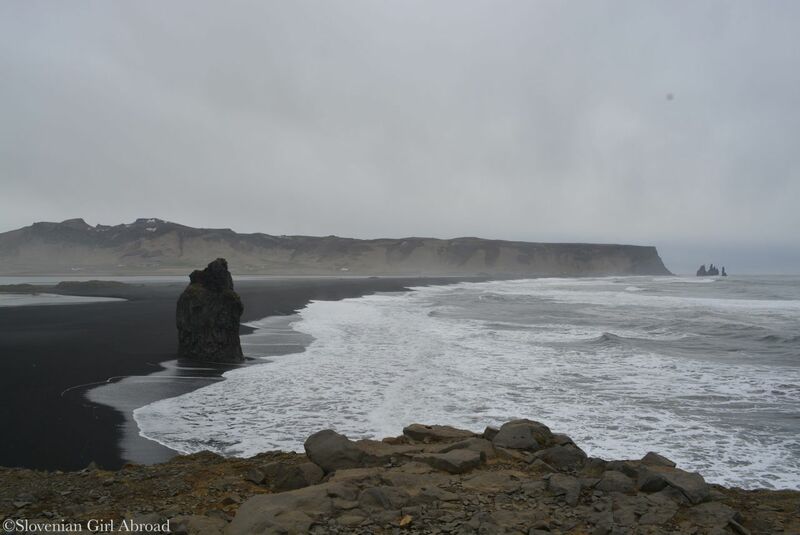 On our way to Vík, we’ve stopped at different points, including Skógafoss and Seljalandsfoss waterfalls and black-sand beach Reynisfjara. 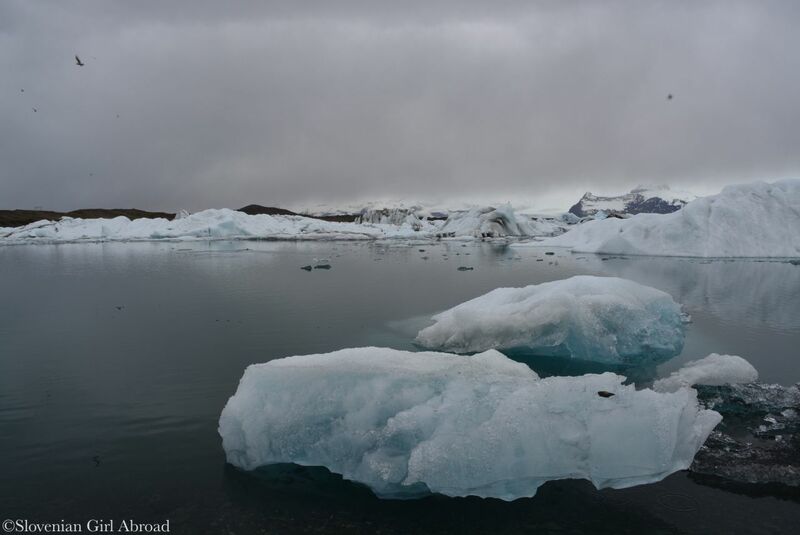 On our second day, we’ve followed Ring Road east, all the way to Fjallsárlón and Jökulsárlón glacier lagoons. On our way back from those two impressive ice-filled lagoons, we’ve stopped at Skaftafell in Vatnajökull National Park where we’ve done an easy hike to beautiful Svartifoss waterfall. On our third day in Iceland, we’ve left Vík for Reykjavik. Before we left Vík area, we stopped at Dyrhólaey and at Sólheimajökull glacier where we’d spontaneously booked a glacier tour. Late in the afternoon we’ve finally reached Reykjavik and strolled around the town for a bit. 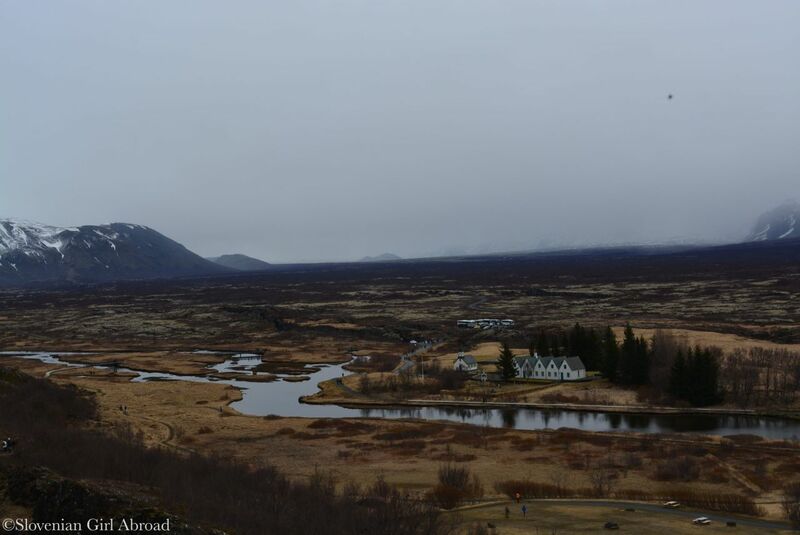 On our fourth day in Iceland, we’ve followed the path almost every tourist in Iceland follows – the Golden Circle – a circle route comprising Iceland’s natural wonders: Þingvellir National Park, Geysir & Gulfoss waterfall. To those we’ve added two more attractions: Kerið Crater and Brúarfoss waterfall. On our fifth and sadly last day in Iceland we’ve headed to the world-famous Blue Lagoon Geothermal Spa where we’ve chilled and relaxed before catching our plane back home. Despite Iceland was windy and cold, I loved my time in there. There are not many places on this Earth that leave me speechless, but when exploring Iceland, I was left without words so many times, I forgot to count. From the breathtakingly beautiful waterfalls, to the black beaches of southern Iceland, from the volcanic landscapes to the ancient ice at the Sólheimajökull glacier, from the boiling water in geysers, to ice of Fjallsárlón and Jökulsárlón glacier lagoons, I had to constantly pinch myself if I am still on the planet Earth. Iceland is definitely one of the most beautiful and impressive places I have ever been to. You did so much! That first photo is absolutely stunning! I would love to go to Iceland. 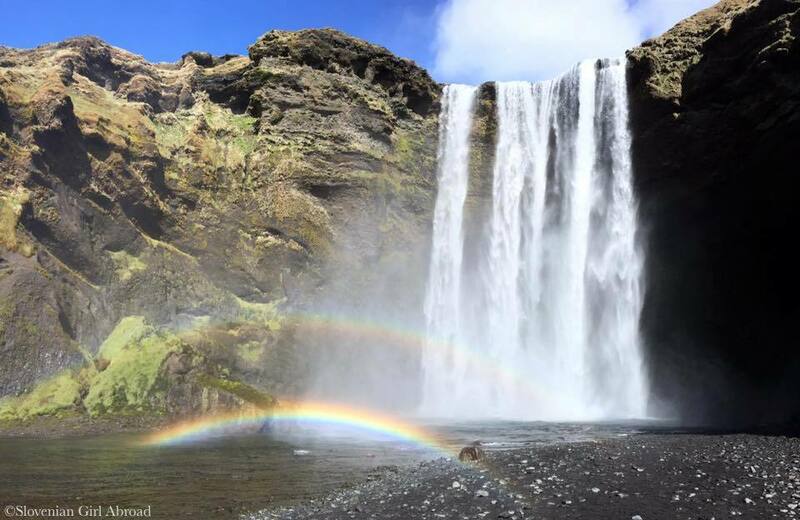 I’m insanely jealous that you managed to capture the double rainbow at Skogafoss. Ah so beautiful, Iceland has been on my wish list for so long! The sceneries on your photos look gorgeous! Super post! Kolko ste pa kej odšteli za rent a car? Hvala. 🙂 Za avtomobil Opel Astra z vsemi dodatnimi zavarovanji in znižano odbitno franšizo 550€. I’ve been thinking about going to Iceland for many years. Thanks for this report! A double rainbow! How awesome is that! So happy that you had a wonderful trip to Iceland! Iceland looks wild yet beautiful. I’ve seen that spa on many television shows and it must be hard to leave such a place :). I have to admit, I’m kinda jealous of your trip 😀 When I visited Iceland, I only had a day and could only explore Reykjavik. I’d love to do an itinerary like this and especially visit the Glacier Lagoon – just looks wonderful! Reykjavik is nice town too. 😉 I guess, you have a good excuse to revisit Iceland. 😉 Both glacier lagoons are indeed beautiful. Beautiful!! Iceland really is a beauty, isn’t it? It seems like you got to do quite a lot in your times, that’s the best! I visited Reykjavik a good few years ago with my family but I’d love to return to Iceland to see more of the countryside too 🙂 Thanks so much for linking up with #Wanderfulwednesday, hope to see you again next week! I’m dying to get to Iceland!! This post just makes it worse! 😀 All of those glacier filled lagoons, waterfalls and hot springs… it seems like a natural paradise! Looks like an awesome trip! Thanks for linking up for #wanderfulwednesday ! I hope you get the chance to visit Iceland soon. It’s indeed a natural paradise. Brilliant! So this is why you were talking about it! How are things? How expensive was it? Yes, that’s the reason. 😉 I think it is quite expensive – comparable to Switzerland. Looks like a wonderful country. Your pictures left me speechless, I so want to visit Iceland now. Thank you so much for joining the link-up! Glad you saw so much! The skies can be so heavy and gray, but that kind of adds to the mystery! Beautiful photos! My husband and I did 12 days in Iceland 2 years ago and it was incredible! Vik was one of our favorites – glad you made it there. When you go back you will have to do the Eastern fjords, we caught them on a beautiful sunny day and they were stunning! Such a wonderful country, I could go back again and again. Glad you enjoyed your time! I couldn’t agree more. Iceland is indeed wonderful country. Seems like Iceland is the “hot” place to be. Every week, I read one or two posts about the island (and I like that). I would have rented a car too. Seems like the perfect way to explore. You can stop anytime you want and change your schedule if you like. Hehe, true. It got extremely popular in recent year or two. I hope the tourism won’t get too massive to spoil the nature. It would such a shame. Beautiful photos. I have friends that have traveled Iceland and loved it. Perhaps I will get there some day. Thanks for posting.